I think this can be made into a made for TV movie. 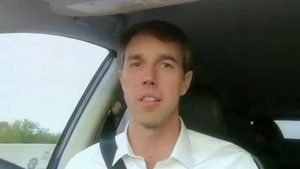 I think Beto could be talked into playing his own role as Beto “Ted” Kennedy-O’Rourke and I bet Alexandria Octavio-Cortez could play the part of Mr. Ed. I think I meant MaryJo. She could be calling for Wilburrrrrrrrr while underwater waiting in the car for the Kennedy cover-up team to arrive.